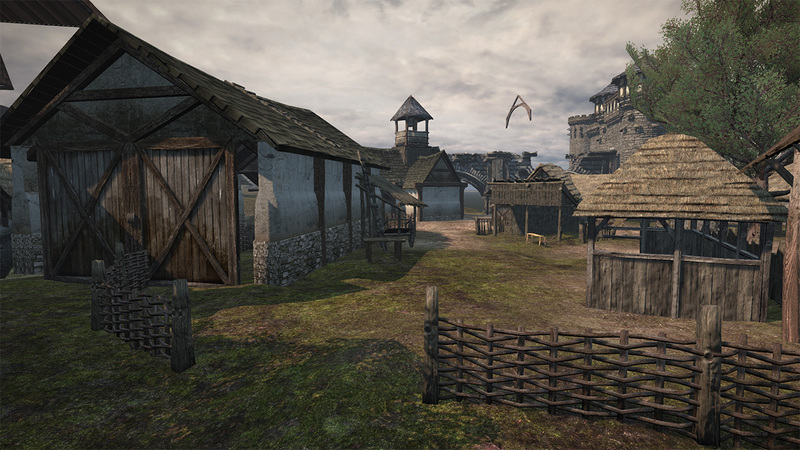 As way of an introduction, back in 2009 I was a member of the development team on the Source mod version of Chivalry. I joined as a level designer and the work I did eventually ended up helping me get a job as a professional level designer, which I’ve been working as for the last 5 years. Anyway, to cut a long story short, I am taking some time out from working professionally in order to spend some time doing things I simply didn’t have the time for previously. 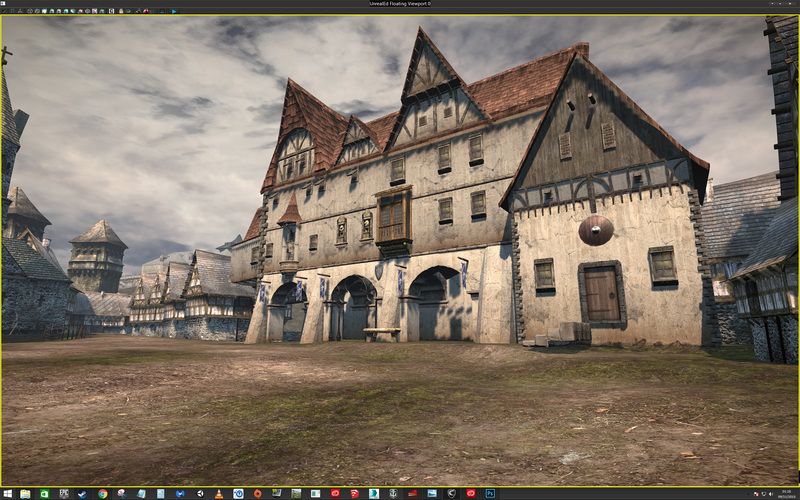 (learning new tools, scripting and building fun maps for different games). 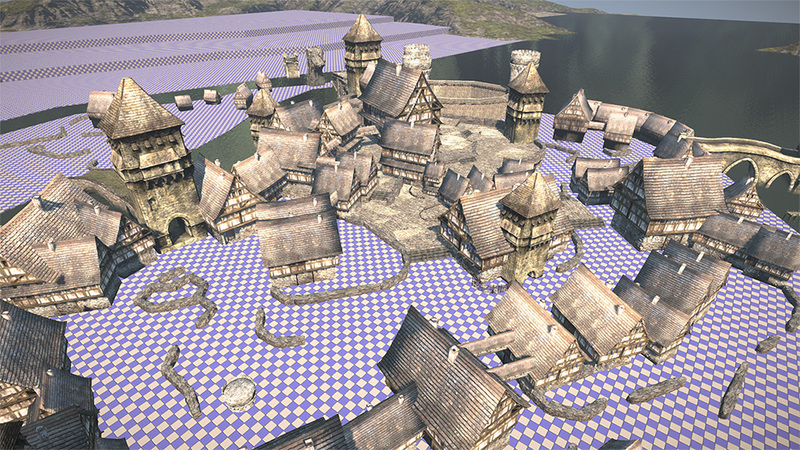 Part of that is getting back into making custom maps for Chivalry! 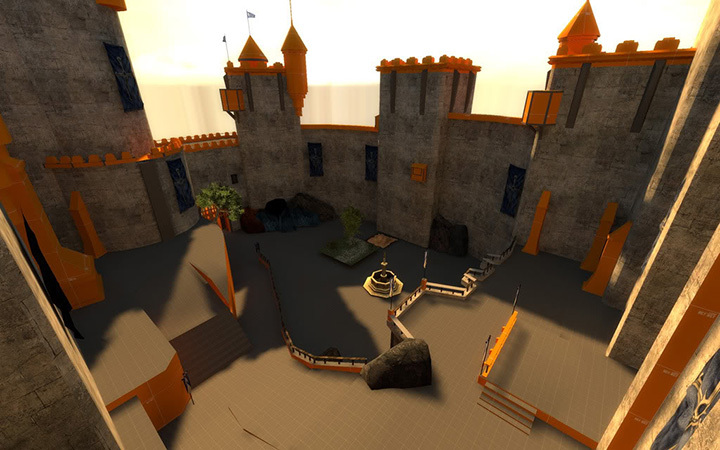 I decided to start small and have put together what will end up as a fairly compact TDM level. It is set in and around a small village on an island and will feature various routes of attack/defence, some moderate height change and a couple of small interior spaces. I’ll hopefully squeeze in some nice vistas of the surrounding landscape as well. I knocked this out in 2 hours this morning, so I apologise for the roughness but I’ll continue to post images as I work on it and on other levels I’ve have in the pipeline. Everything you see is still subject to change as I play test it. Unfortunately, I will be away in London for the next week so I won’t have any further updates until early November. Thanks for taking the time to check this out and all constructive criticism is welcome! Well this stuff looks very good imo. It’s always cool to see professional maps. Apparently you have a much more effective working style than I do lol. -Replaced the rough height change block-out with a sculpted landscape. -Added simple interior spaces/stairs etc to demonstrate playability of alternate routes. -Started creating major buildings and detail to small island. At this point I am happy with the basic gameplay and have started to add art to the level. I tend to do this in multiple passes, starting with large objects such as buildings and then working down to smaller elements and eventually foliage and incidental objects such as rocks, barrels etc. 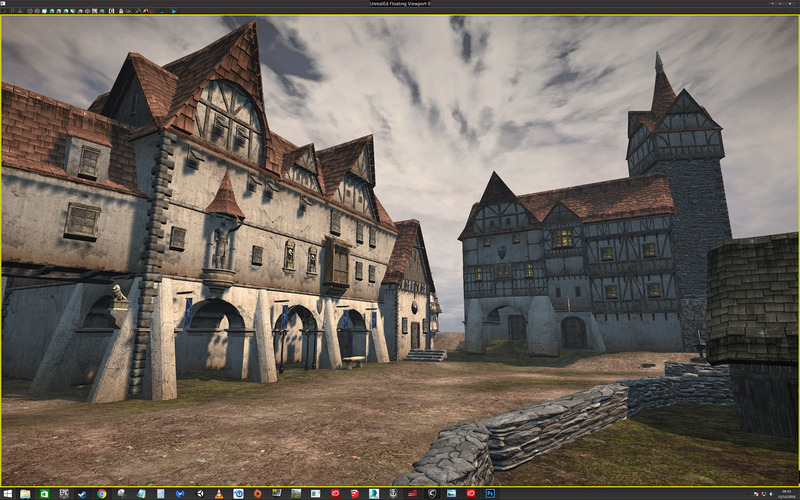 It has taken me a little while to nail a style down for the buildings, as I didn’t want to use existing complete meshes. Instead I am ‘kit-bashing’ smaller parts together to create larger buildings. This should result in more detail and something more unique for you to play around in. 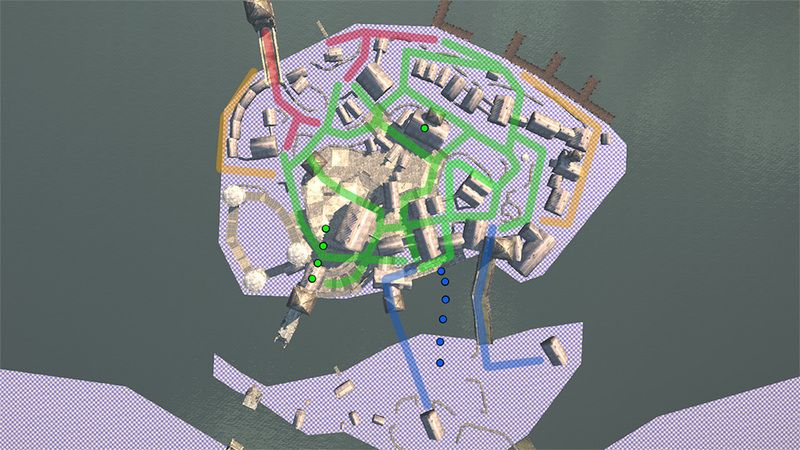 I am currently working up the small island in front of the main settlement to a near final pass to give myself a standard to work toward for the rest of the level. I’d estimate it is about 40% complete. 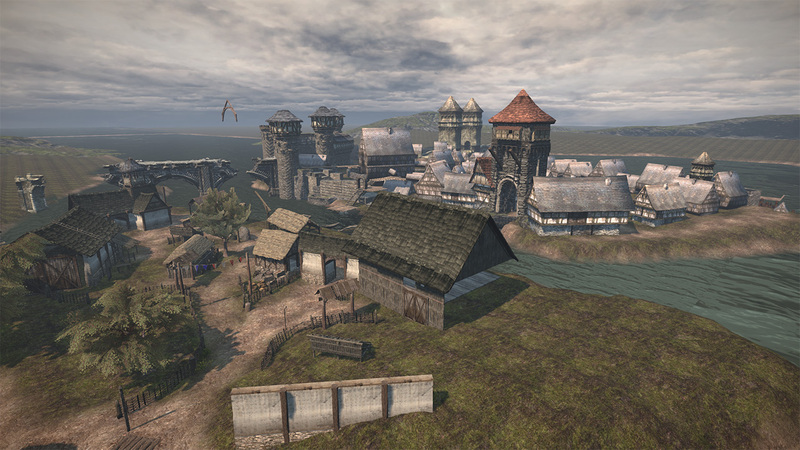 overview showing the small island in front of the main settlement. I want this area to feel more rural and as a result am using more natural materials like wood and thatch in the construction of buildings. 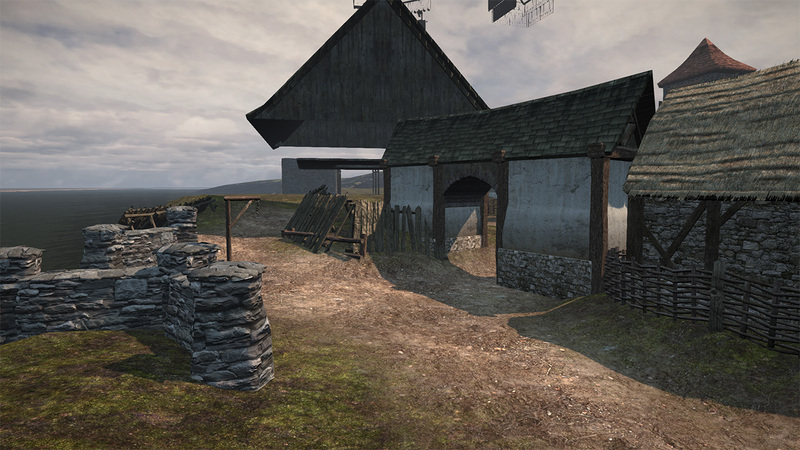 This shows an early wip of one of the spawn areas set inside a small farm compound. Some spawn points will be inside the barn. Looking toward another spawn area for the same team. 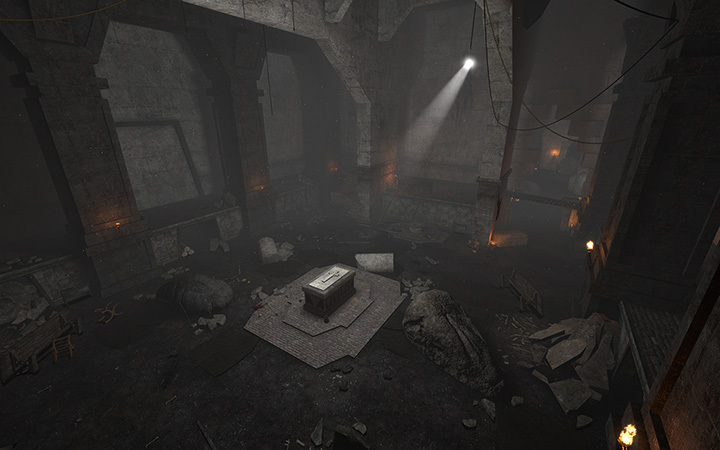 Again, spawns will be placed within the large barn which is still under construction. I also decided to add a small archway-building to block visibility, this should help stop archers being able to fire at recently spawned enemies. It also helps to funnel players. Since the last update I have done a lot of tweaking to make sure everything looks as natural as possible and I am pretty happy with the results. A couple of things to note is that the current lighting is just place-holder and may change dramatically in the final version. It is also missing environmental effects such as distance fog. 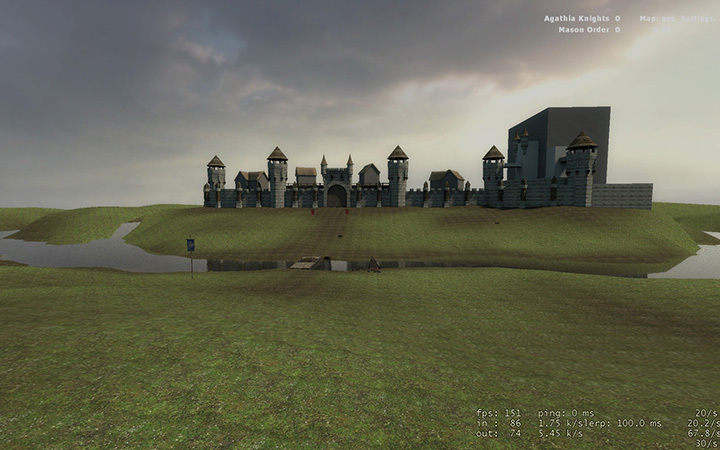 This image, shows a view looking toward a spawn zone. 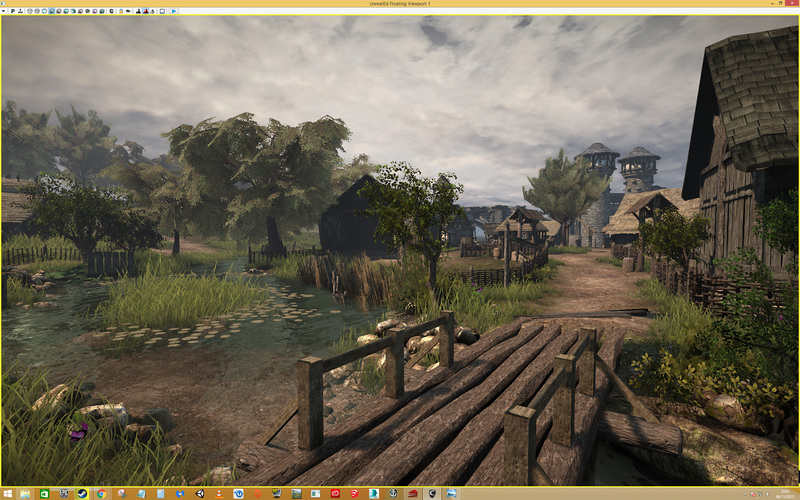 The towers in the distance indicate the location of the island settlement which is the main play space. I think I have decided that the Masons will spawn on this island, as if they have launched a raid on the Agathians. As a result, I may add some light destruction, some small fires and a few corpses to give it a little back-story and set the scene. This shot is looking in the opposite direction, back across the bridge to the landscape beyond. Players won’t be able to cross the bridge or the stream that runs around the boundary of this small island. However, I wanted to make it look very natural and not just leave it as an afterthought. I’m especially happy with how this turned out, although I still have some work to do on the distance trees. Looking forward to ruin the scenery with a pile of dead bodies by repeatingly sprinting into the river getting insta killed… or hitting my head on the invisible bridge wall? :friendly_wink: That is exactly what I intended to do. Also, don’t worry about invisible walls, that’s not something I would ever do. Objects have been placed very deliberately along the length of the river to act as a natural barrier. I’m aiming to have started work on the main settlement by the end of this weekend and perhaps have a little something extra to show off. More progress to report, this time on the town. 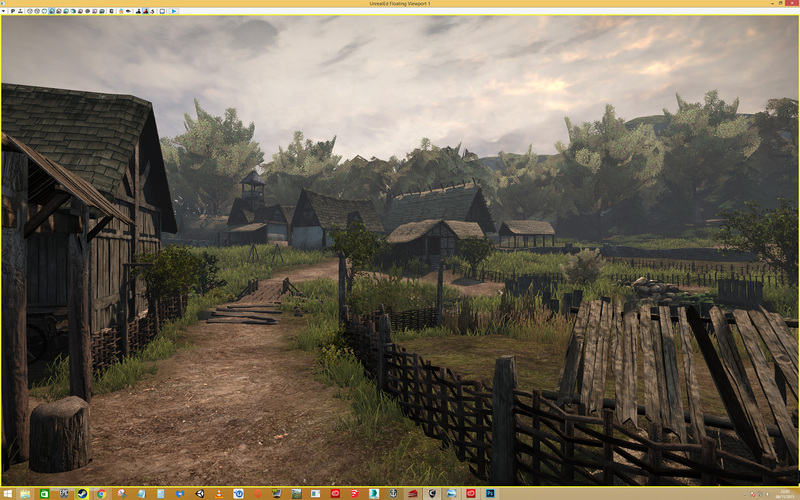 I wanted to make the town look distinctly different from the more rural setting outside the walls. The buildings will make use of more plaster and stone and have more embellishments. The rough idea is that the location is an Agathian trading post and as such is quite a wealthy location (hence why the Masons are mounting a raid). This is what the area looked like before I started. This is what now sits in the same space. 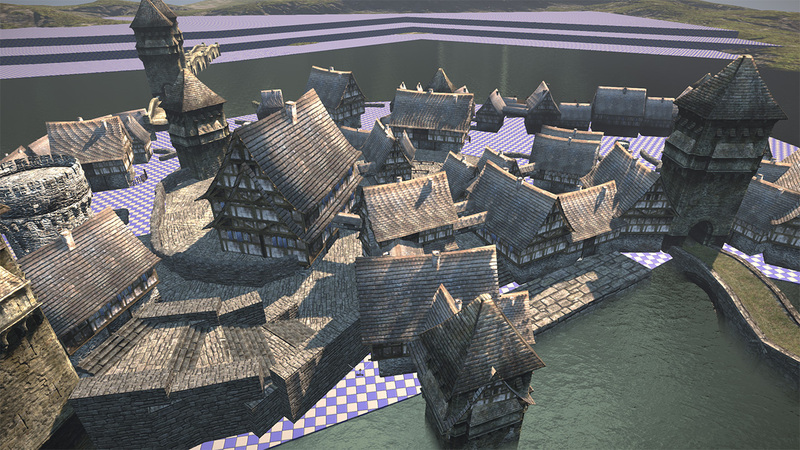 This sections of buildings looks out into the town square and behind will be where ships land to deposit goods (although it likely won’t be accessible to players). 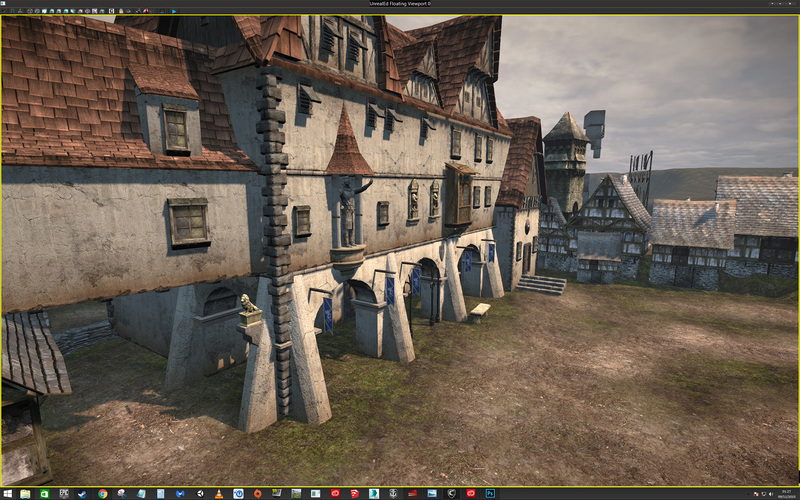 These could perhaps be wealthy merchants houses. 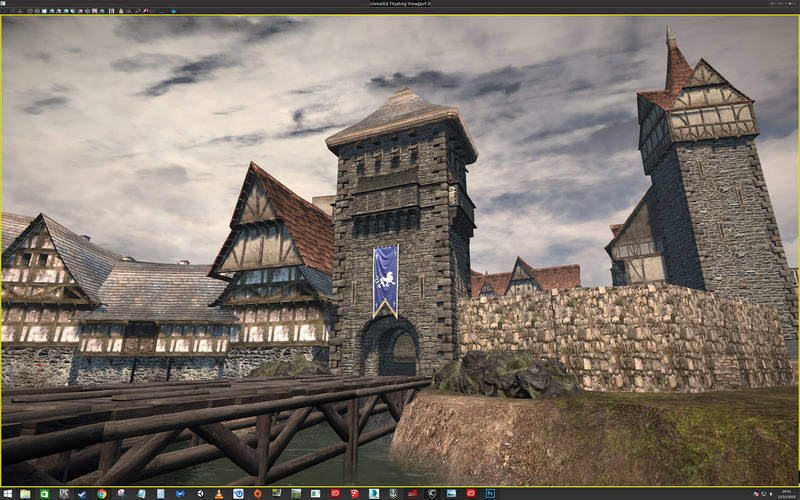 New tower at the entrance to the town and stone bridges replaced with timber frame place-holder. More buildings and a tower go up in the town square. The snag I hit is with these buildings. I did a quick lighting build yesterday as a test and found that the static mesh blocks I had been using to create the main structure of the buildings caused lighting warnings/errors due to having missing UV’s. As a result, the off-white plaster render turned to a matte-grey colour. I am going to replace them with a single large block of BSP. 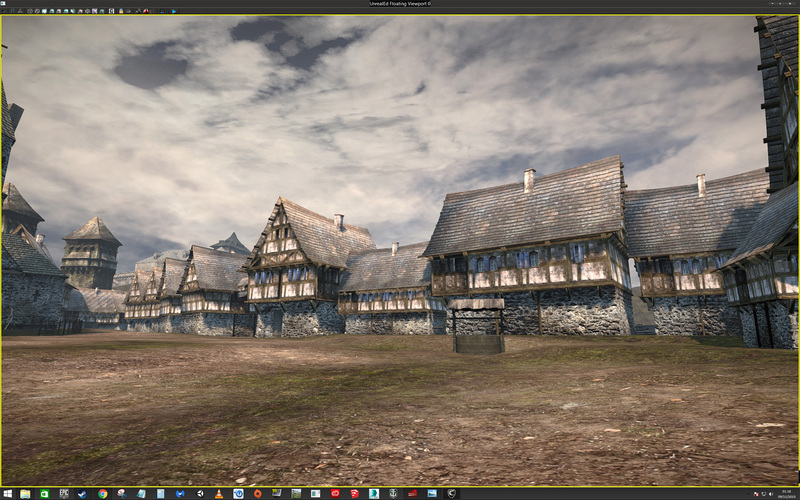 There were also some issues with shadows on the timber frame meshes that I need to sort out, which I think is related to some lightmap options I can change in the object properties, so I will try that out and see if it solves the issue when I start work on it again at the end of this week. That’s a really nice looking building. Do you create it using meshes or brushes?